Mt. 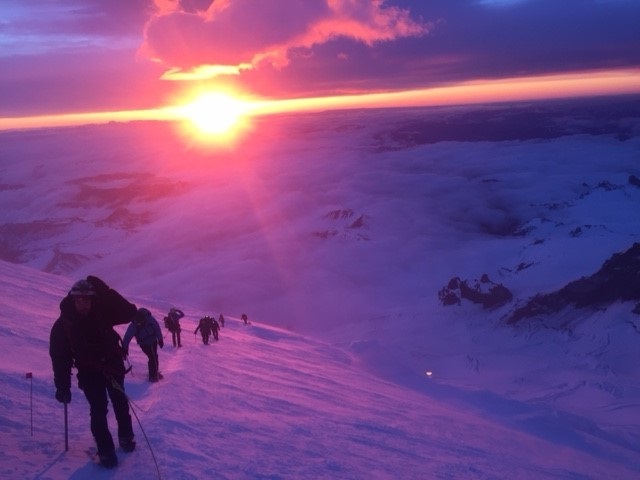 Rainier: Blais & Team Summit Mt. Rainier! 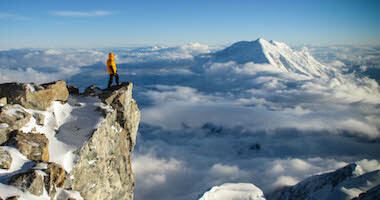 The Five Day Summit Climb led by RMI Guide Zeb Blais radioed this morning to report a successful climb. The team is enjoying beautiful views of Mt. 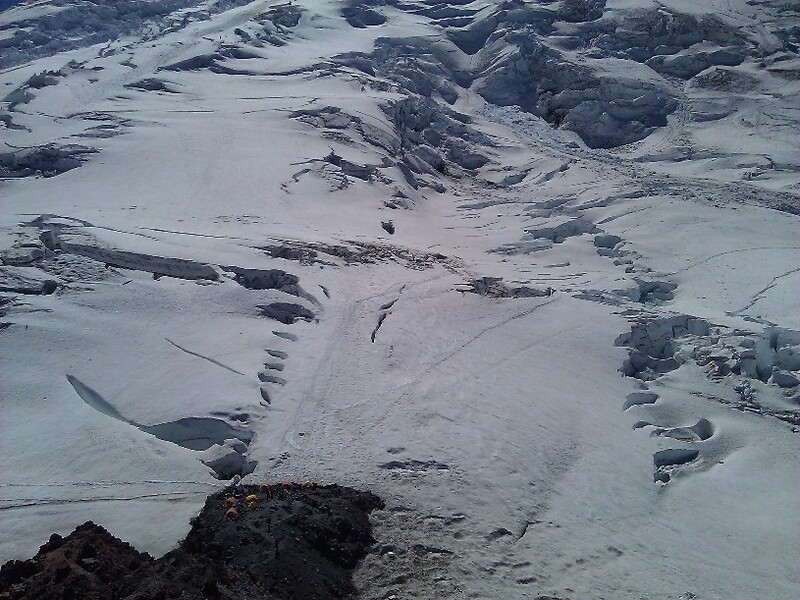 Rainier’s summit crater and surrounding area. They are experiencing light winds and will begin their descent shortly. 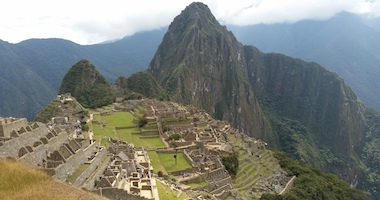 The Four Day Summit Climb August 2 - 5 reached the summit of Mt. Rainier today with 100% of their team! 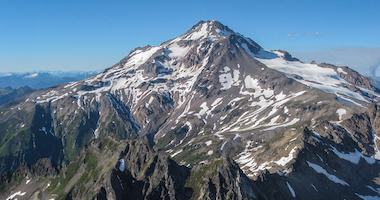 RMI Guides Robby Young, Nikki Champion and Bryce Foster lead their team to the summit of Mt. Rainier around 6:30 AM PT. 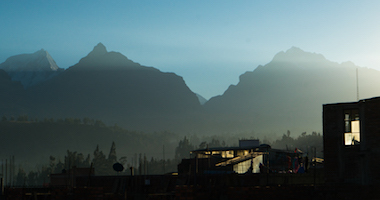 The team enjoyed a beautiful morning on the mountain with clear skies and good temps. 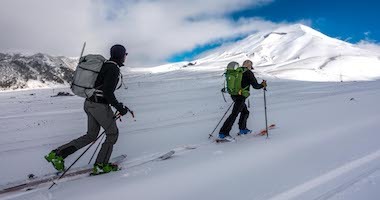 They began their descent from the crater rim around 7:30 AM. Uncle Matt rocks! Go Blue!! 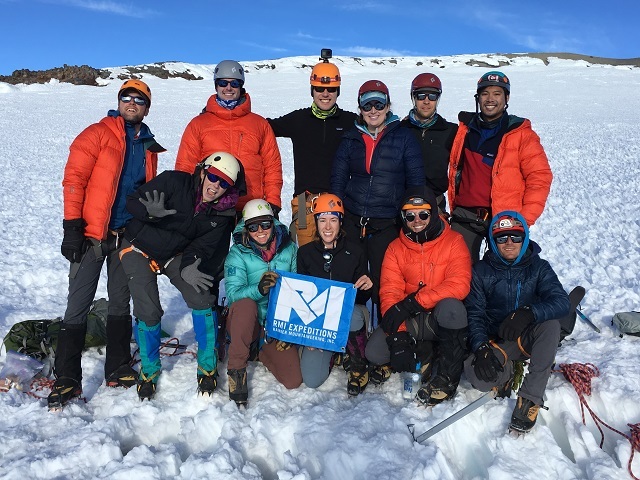 The Expedition Skills Seminar - Emmons June 16 - 21, 2018 led by RMI Guides Andy Bond, Alan Davis, Bryce Foster and Jenny Konway reached the summit of Mt. Rainier this morning via the Emmons Glacier route. Andy reported a beautiful day with low winds. 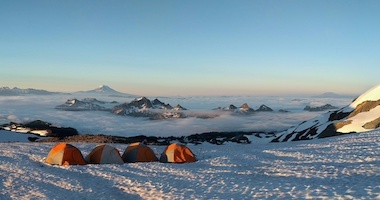 They will return to Camp Schurman for a final night on the mountain. Congratulations to the Emmons Seminar team! Congratulations Noah! This is absolutely amazing. What an accomplishment! I’m inspired!